Under the NI Water Lot 2 Year 1 Base Maintenance Contract, Enisca was awarded the Carrickfergus WwTW upgrade works. Carrickfergus WwTW is designed to serve a local population of 35,330 people and is rated at 28,250m3/day Full Treatment Flow (FFT). 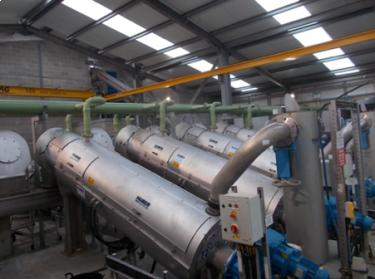 Enisca’s key scope of the work was to supply, install and commission new duty/standby 6mm inlet screens, grit removal plant and a duty/standby sludge thickening facility. The new control systems associated with these new elements of process plant were designed, supplied and commissioned by Enisca and successfully integrated with the existing site PLC/SCADA system along. 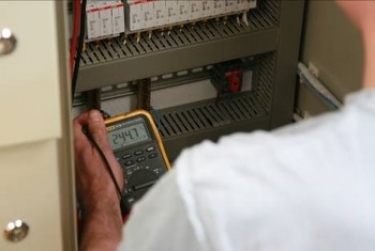 Other scope of work included new inlet works pH instrumentation and sludge progressive cavity pump replacements. 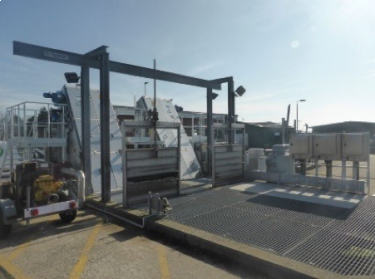 Flows, limited to Formula A, undergo screening by two new 6mm escalator screens before passing to a new grit separation and classification plant comprising of a crossflow detritor and rake classifier. 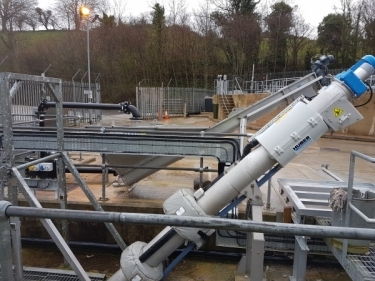 New pH instrumentation was installed and commissioned downstream of the grit plant to direct flows, up to Formula A, to the blind storm tank in the event of a pollution event, via an existing actuated diversion penstock. Enisca supplied, installed and commissioned two new duty / standby sludge drum thickeners. The sludge thickening system comprises of two individual thickening streams, each capable 24.6m3/hour. In-feed flow which are designed to thicken the site SAS (surplus activated sludge) received from the SAS buffer tanks to a dry solids content of 5-6% and to transfer the thickened sludge to the thickened sludge holding tanks.